Ullika Pankratz of UP Design Lounge Design Studio and I have put together a special “Meet Local Makers” Summer Pop-Up Market. We are transforming Living Room Realty’s beautiful Southeast office on June 18 into a pop-up market place for the day! 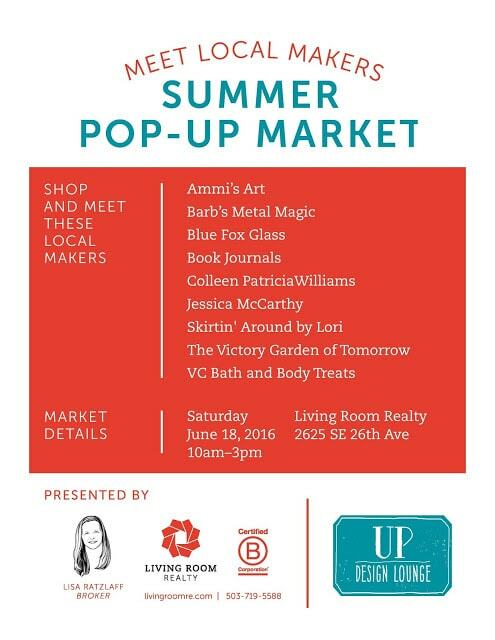 Stop by and enjoy this great opportunity to meet and shop from some very talented local makers. Many of these artists have been featured on this blog!